for design flexibility and incredible high frequency dispersion. The Mobius Series provides the greatest flexibility for interior design integration and installation of any invisible loudspeaker. Delivering incredible high frequency performance across the entire listening position, allowing for perfect reproduction with all the detail and clarity, no matter where in the space you are listening from. 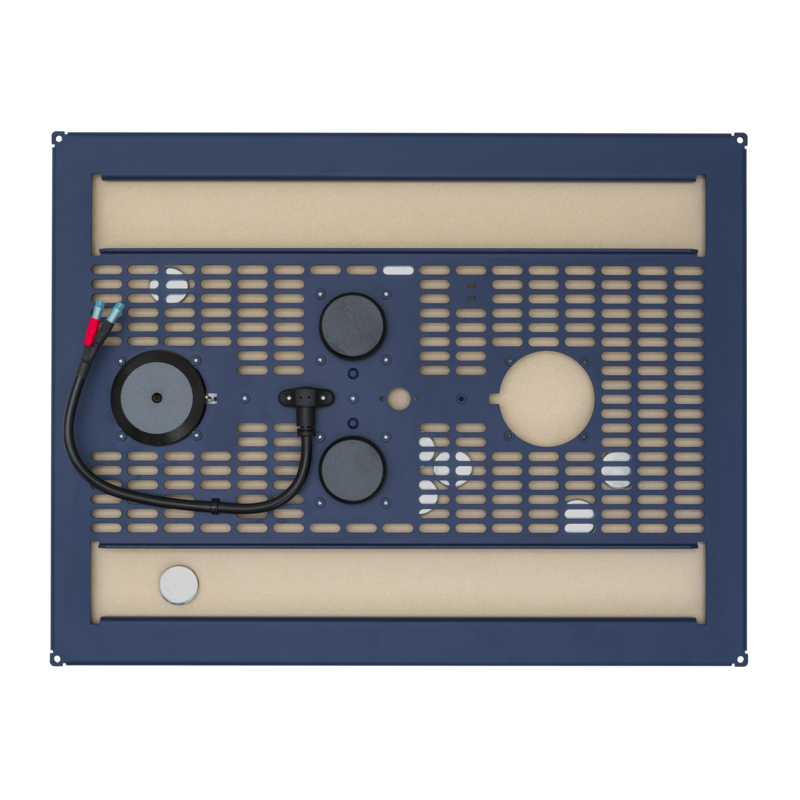 Engineered to work behind a range of covering materials such as wet plaster skim (2mm), wood, leather or high pressure laminate, Mobius Loudspeakers offer the most flexible invisible audio solution available. The Mobius7 incorporates OptiDamping, OptiDrive and Reduced-Resonance Exciter technology. This gives smooth high frequency extension, high power handling and improved low frequency performance. With an incredibly lightweight, stiff and resonant panel material, Mobius7 speakers are designed to work with the covering material to produce incredible high frequency detail and extension. When paired with a discreet subwoofer, Mobius7 speakers offer the highest performance characteristics of any invisible loudspeaker. Due to the vast range of installation options available for Mobius speakers, it is important to check fitting requirements prior to ordering. For many laminate installations, pre-applied adhesive may be required, available on request. 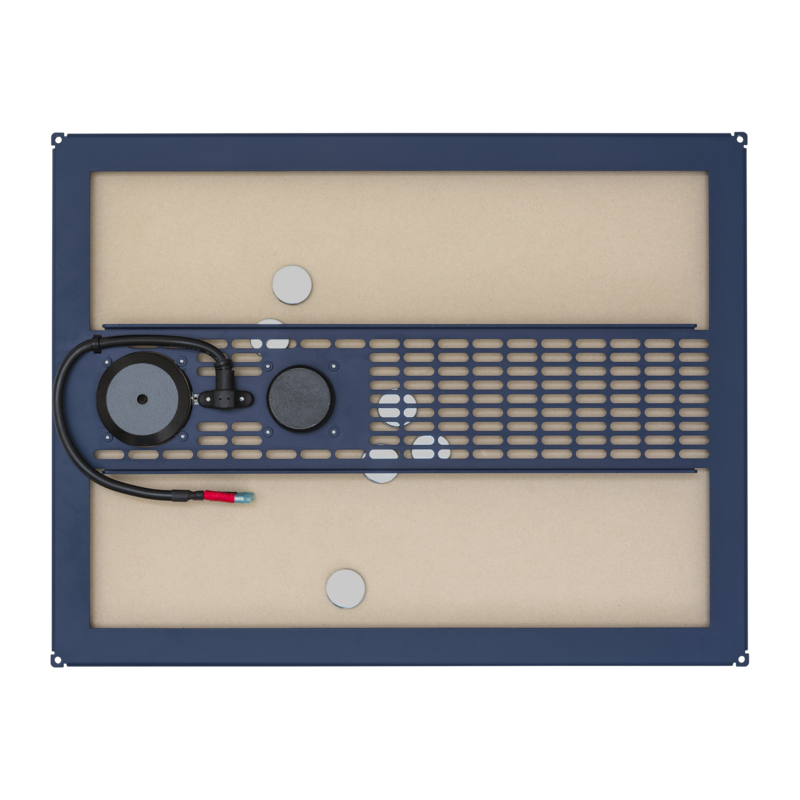 The Backbox CV345 creates an acoustically tuned and consistent cavity behind the speaker, helping to ensure both consistent audio quality as well as minimising rearward airborne sound transmission where Mobius loudspeakers are installed into stud walls/ceiling. The BackboxSW345 provides a strong mechanical fixing method for solid blockwork and concrete walls/ceilings. All new slim-line design, giving reliable speaker protection for life-time worry free performance, in a unit that can be conveniently dressed back with any cable management system or sit neatly behind the rack. Please note that Mobius7 speakers require the ‘C’ variant single channel protection unit APUi70C. Both 8-channel and 16-channel passive rack-mounted protection units are available for Edge Series Loudspeakers. For use in installations with higher numbers of low-impedance speakers with a centralised AV rack. Direct-to-PCB screw terminal-blocks allow for fast and easy permanent installation. Please note that Mobius7 requires the ‘C’ variant of protection unit, for example APU-RS16iC. The Mobius5 incorporates OptiDamping, OptiDrive and Reduced-Resonance Exciter technology to give the smooth high frequency extension and low frequency performance, with medium power-handling capabilities. With an incredibly lightweight, stiff and resonant panel material, Mobius5 speakers are designed to work with the covering material to produce incredible high frequency detail and extension. When paired with a discreet subwoofer, Mobius5 speakers offer a full bandwidth high-fidelity audio system. Although Mobius loudspeakers provide low frequency performance suitable for background music, for a full-range invisible sound solution, consider specifying an Amina discreet subwoofer for smooth and powerful low frequency extension. All new slim-line design, giving reliable speaker protection for life-time worry free performance, in a unit that can be conveniently dressed back with any cable management system or sit neatly behind the rack. Mobius5 requires use of APUi50 single channel protection unit. Both 8-channel and 16-channel passive rack-mounted protection units are available for Edge Series Loudspeakers. For use in installations with higher numbers of low-impedance speakers with a centralised AV rack. Direct-to-PCB screw terminal-blocks allow for fast and easy permanent installation. Explore some of the many design available options below.